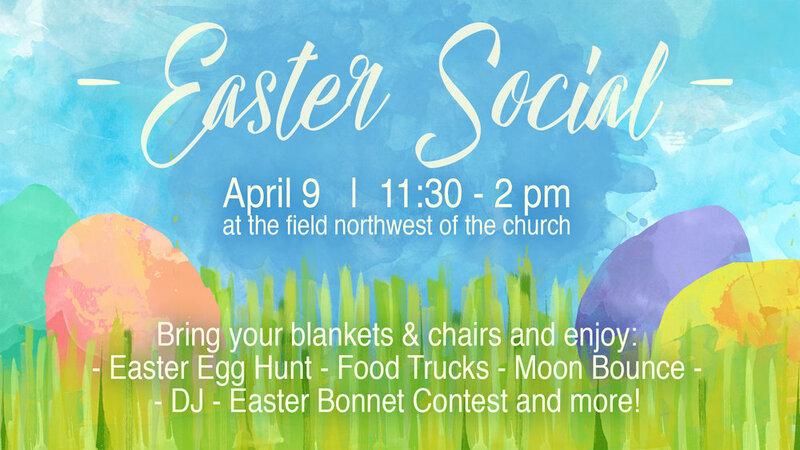 Join us for the Annual Easter Social! The event will feature an Easter egg hunt, food trucks, moon bounce, DJ, Easter bonnet contest and more. The fun will start at 11:30 in the field just northwest of the church. Don't forget to bring your chairs or blankets to enjoy the fun!